The suicide armed and bomb attacks in Paris on November 13, 2015 were unprecedented in size and scale. The attacks that killed more than 125 people and left 350 injured have exposed France’s vulnerability to political armed violence and alerted the rest of Europe to the threat of salafi-jihadist within their domain. Though tragic, the Paris attacks do not come as a complete surprise to the counter terrorism risk community. The terrorism threat in France is higher compared to several other Western European countries. Apart from this recent attack, there have also been several terrorist attacks in France in the last 18 months. These include the attack on December 20, 2014 in Tours, the armed assault at the ‘Charlie Hebdo’ offices in Paris on January 7, 2015, the shootings in Montrouge on January 8, 2015, the hostage siege at a Jewish supermarket in Paris on January 9, 2015 and an attack against three French soldiers in the city of Nice on February 3, 2015. On August 21, 2015, there was also a terrorist attack on the Amsterdam to Paris high speed Thalys (TGV) train service. What is surprising is the magnitude and scale of these six assaults. These attacks were very ambitious. Divided into three distinct groups, the militants were able to execute simultaneous strikes on six locations. Simultaneous attacks are very effective as they cause significant number of casualties before the security services have the time and ability to respond. The attacks were also very well coordinated and involved myriad attack devices reflecting a sophistication that can only come from having some level of military training and expertise as well as centralize control. In the first series of attacks, three bombs were detonated at locations near the Stade de France, where a soccer match between France and Germany was taking place. These bombings killed five people. The three explosions at the Stade de France outside Paris were all suicide bombings. One of the attackers had a ticket to the game and attempted to enter the stadium when he was discovered wearing a suicide bomb vest. He blew himself up upon detection. The second suicide bomber killed himself outside the stadium few minutes later while a third suicide attacker detonated explosives at a nearby McDonalds. Meanwhile at the same time, gunmen reportedly with AK-47 assault rifles opened fire on a tightly packed Southeast Asian restaurant in a drive-by shooting, killing more than 10 people. Later in the evening there were two other drive by shootings in the different parts of the city that resulted in the deaths of 23 people. Another suicide bomb blast also occurred along the Boulevard Voltaire at a cafe, killing himself but also injuring 15 customers. The worst violence occurred at the Bataclan Theater, where four militants took hostages during a concert performance by an American rock music group. Witnesses reported that the attackers launched grenades at people trapped in the theater. All the assailants were reported dead after the French police raided the building. Three of the assailants blew themselves up with suicide belts instead of getting arrested, as the police got close while the remaining one was shot and killed by the French authorities. More than 80 people were believed to be killed at the theatre suicide siege. The suicide armed attacks or sieges witnessed at the Bataclan Theater involved a group opening fire on a gathering of people in order to kill as many as possible. Similar to the Mumbai attacks in 2008, the ability to roam around and sustain the attack, while being willing to kill themselves in the onslaught, makes such terrorist attacks more difficult to combat. From the terrorist’s perspective, these assaults offer a number of advantages, such as greater target discrimination, flexibility during the operation, and the opportunity to cause large numbers of casualties and generate extensive worldwide media exposure. It is possible that following the success of Friday’s Paris attacks, suicide-armed assaults and bomb attacks will become an even more attractive tactic for terrorist groups to replicate. Such attacks will typically target people in crowded areas that lay outside any security perimeter checks such as those of an airport or at a national stadium. Probable targets for such attacks are landmark buildings where there is a large civilian presence. Also of interest is the terrorist’s use of triacetone triperoxide (TATP) explosives for the suicide bomb vests used in the attacks at the Stadium as well as the Bataclan Theater. TATP is basically a mixture of hydrogen peroxide and acetone with sulfuric, nitric, or hydrochloric acids. These are chemicals relatively available in neighborhood stores. However, TATP is highly unstable and is very sensitive to heat as well as shock. More often than not TATP will detonate prior to the desired time. Given the high level of precision and coordination needed to orchestrate these attacks, an experienced bomb maker had to be involved in creating the suicide bomb vest stable enough to be used in these operations. 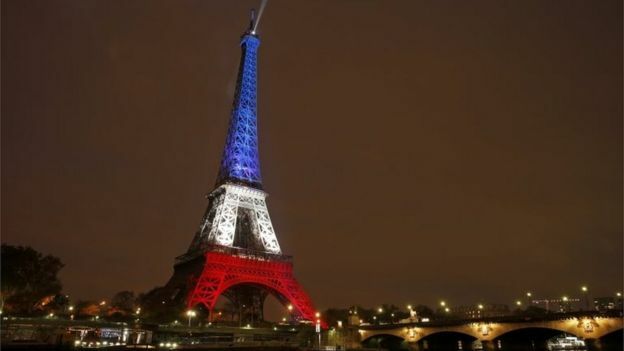 The Islamic State (IS) has claimed responsibility for the catastrophic attacks in the French capital. While these claims have not been officially authenticated, the suicide operations and the synchronous nature of these attacks are consistent with the modus operandi of salafi-jihadi militant groups such as the IS and al-Qaida. France’s military incursion in the Middle East such as the country’s recent bombing campaigns against IS positions in Syria and Iraq, justifies its targeting in the eyes of the Salafi-jihadi community. Both IS and al-Qaida linked groups have in the past have threaten reprisal attacks against France for their military intervention in the region. On the domestic side, the fact the one of the suicide bombers was a Syrian refugee will also further fuel longstanding ethnic tensions in the country. France continues to struggle to deal with the problems of poor integration and perceived marginalization of its large Muslim population. Domestic policies such as the deeply unpopular headscarf ban have contributed to the feelings of victimization claimed by some sections of the French Muslim community. 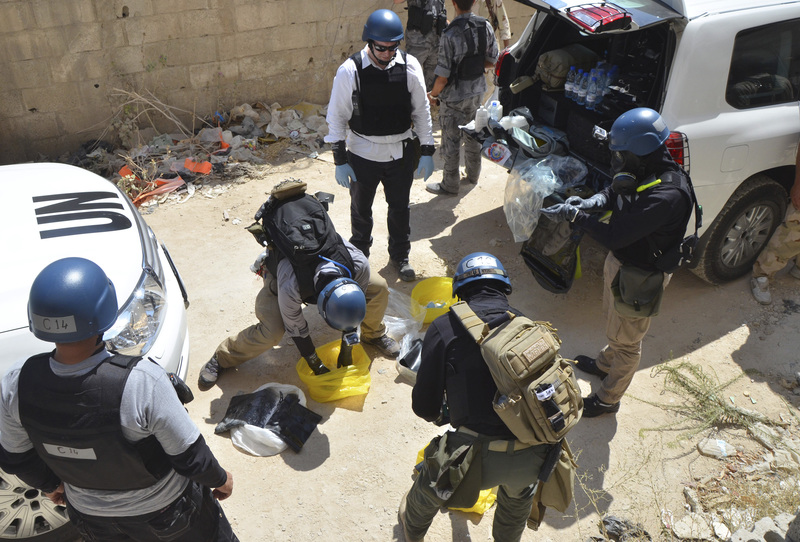 Compounding the threat landscape are indications that many French individuals have traveled to countries such as Syria and Libya to receive paramilitary training. The experience of other Western European countries, which face their own home-grown terrorist threat, has shown that individuals benefiting from foreign training and combat experience can act as lightning rods for local radicalized individuals and provide an addition impetus to orchestrate attacks in their homeland. So far, according to the French authorities it is believe that there is around 400 French citizens in Syria fighting with extremists, making the French among the largest western contingents of foreign fighters in Syria. The November 13, 2015 attacks in Paris, France are the deadliest attacks in Europe since the 2004 train bombings in Madrid, Spain, where 191 people were killed and over 1,800 people were injured. In regards to the terrorism risk landscape in France, while the suicide bombers have been all killed, the drive-by shooters remain at large. Moreover, despite several arrests in Belgium of individuals allegedly link to the attacks in Paris, it is still unclear whether these detentions have broken up the terrorist network that supported these attacks. Thus, in the short term, subsequent attacks in France or even neighboring countries cannot be discounted. This entry was posted in Life & Health, RMS, Terrorism Risk on November 16, 2015 by Weimeng Yeo.